Abstract: The prevailing view is that we cannot witness biological evolution because it occurred on a time scale immensely greater than our lifetime. Here, we show that we can witness evolution in our lifetime by watching the evolution of the flying human-and-machine species: the airplane. We document this evolution, and we also predict it based on physics principles. We show that the airplanes must obey theoretical allometric rules that unite them with the birds and other animals. For example, the larger airplanes are faster, more efficient as vehicles, and have greater range. 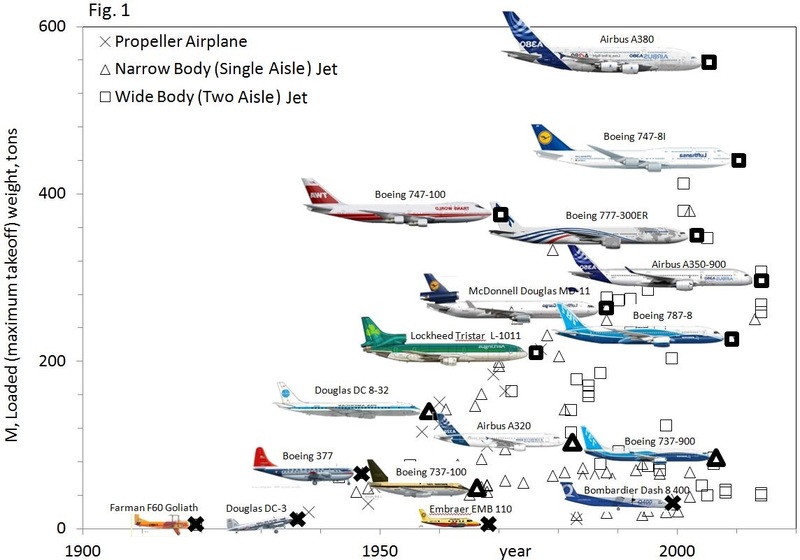 A. Bejan, J. D. Charles, and S. Lorente, The evolution of airplanes, Journal of applied Physics, 116. Eurekalert, Analysis in the Journal of Applied Physics uses ‘constructal law’ to witness the evolution of airplane designs over time and predict the future of aerospace design.